It is only natural that you would be concerned about the health and welfare of your child. Your job as a parent is to do all you can to make sure they are safe, happy and healthy. If you suspect that your teen is using drugs or alcohol, you want to take all of the steps you can to get them the proper help. The longer you delay the help that is needed, the more difficult it may become for your child and your family. The problem becomes finding just the right type of treatment that will work best for your child. We at Insight Treatment have found that our insight drug and alcohol program can be the highly effective plan needed to help your teen through this tough time. Many drug and alcohol treatment programs were initially designed only for adults and still take that approach. They have treatment plans in place that address mainly the specific needs and behaviors of an adult. Programs of this nature are not going to be the most effective when it comes to working with a teenager. Teenagers often require individual attention and treatment customized to fit the problems they are facing on multiple levels. Our treatment programs are designed just for teenagers and young adults and address the individual as a unique person. An insight drug and alcohol program with us at Insight Treatment consists of the type of approaches that will work best for your child. Each teen goes through an intensive evaluation process so we can fully understand the type of care and support that your child requires. The evaluation allows us to make a better connection with your child and your family, understand all of the needs of the individuals involved and create a treatment plan that will be most effective and meet all of the emotional, physical and psychological needs of those involved. 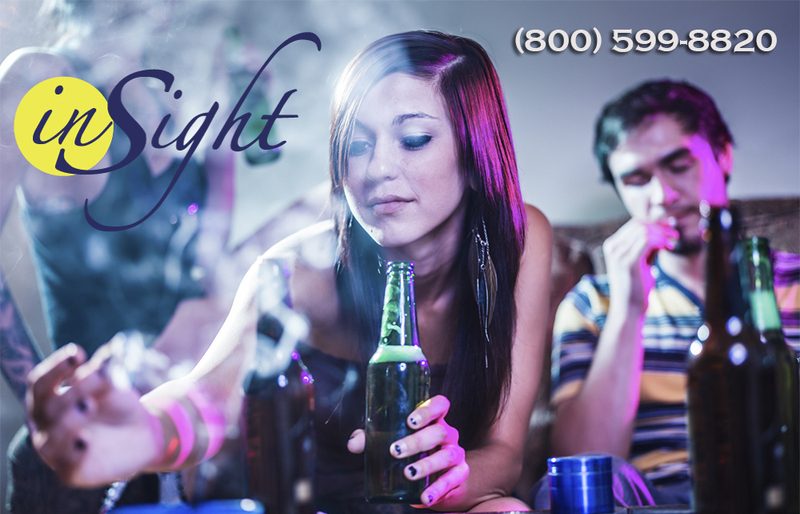 You can arrange for a free two to three-hour assessment and evaluation of so you can meet with members of our staff, discuss our services and our insight drug and alcohol program simply by calling us directly at Insight Treatment at 800-599-8820. All calls are strictly confidential, and you can ask questions and set up an appointment so that you can work towards getting your child the care they require.